Almost Anything You Can Imagine! Here, not only will you find listings of auctioneers who deal with police auctions, government agencies and police forces across Britain, but also thousands of auctions selling just about anything you could imagine at often breathtakingly low prices. We have inside contacts in government and local authority departments who pass information on to us. We list the agents used to off-load government machinery, contacts for the Ministry of Defence who sold off thousands of excellent landrovers last year for next to nothing. We have access to a wealth of insider information. We list the agents used to dispose of unwanted council houses and property, nothing wrong with it! Councils off-load properties for many reasons and sometimes it is just a question of economics. If repairs required to a property don’t fall within specific budget guidelines then quite often the property will be sold. At Police Auctions UK™ you will find all the information our contacts leak to us. You will not find much this stuff anywhere else… Guaranteed. Look at these fantastic bargains. Anything you want at up to 97% discount. You are about to find out where and how to buy them! Scattered across the length and breadth of Britain are hundreds of little known and unpublicised auctions selling a vast range of stock, property and transport often with NO RESERVE, and anyone can attend… even YOU! These places are stacked to their roofs with goods that seem so cheap you would think that there must be a catch. There is no catch – The prices you will be paying just everyday auction prices; prices some traders want to keep secret and we don’t blame them. Yes! Police Auctions UK has the most comprehensive lists of insider information available anywhere in Britain… GUARANTEED! We really do have contacts on the inside. We talk to the right people with the right information! Information that you can use immediately; information that will enable YOU to join in and cash in! Sales of confiscated and stolen/recovered /unclaimed personal possessions looking for a new home. Bicycles, household items, jewellery, business equipment and, of course, a great many car radios and mobile phones. Sales of seized and impounded articles from the effects of drug traffickers and racketeers, to a lost and found. Sales of the sequestered stocks of companies in receivership. To pay creditors, all their stock and assets are auctioned off for whatever anyone is prepared to pay. Remember! Police Auctions UK™ lists probably every auction house in the country and we specialise in NO RESERVE sales too! These sales are rarely advertised! The goods are sold for exactly what anyone is prepared to pay! Stock sold at these venues is entered for a quick sale.The person or organisation that entered them will require them gone, and they go for the highest bid on the day, regardless of what it is! So if there ’s only you and five others there you’ll be leaving with a great bargain and a huge smile! These sales are going on around Britain NOW! They are bargain hunters paradise, selling everything you could imagine at prices you could have previously dreamed of. Here at the Police Auctions UK™ website is your opportunity to discover where and when these sales happen. You will even discover how to view the merchandise before you part with a penny. Find out how you can attend and join in Bargain Heaven! Importers and exporters… the list goes on and on! the hottest real-time money making opportunity available anywhere! Where and how to sell the goods once you have made a successful bid. You will find masses of information you can use today. 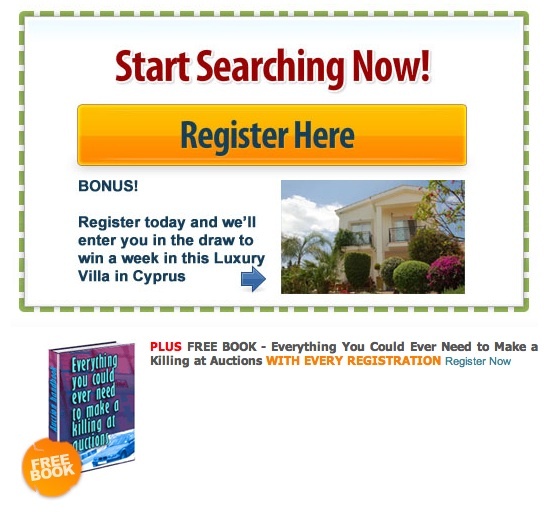 You will find real-time names and addresses for auctions, tenders and agents. Using our unique search facilities you can track down sales from those happening in your local area to every auction going on across the country. Whatever it is your looking for simply type it in and Bingo… A list of sales selling it! If you need to find out about sales in your district simply use the menu for your town or county of interest and Hey Presto… A list of all the sales happening in your town! You will find loads of excellent ideas on how to sell stock once acquired. You will find information that will ensure that you never have to pay retail prices for anything, ever in your life again! Join now and happy hunting! If you can’t find what you’re looking for at Police Auctions UK™ it’s not being sold at auction in Britain… Guaranteed. Items from Police Lost & Found Property. Electrical and household goods, tools, gardening equipment and pedal cycles. Greenslade, Taylor & Hunt, Magdalene House, Magdalene Street, Taunton. Somerset. Online UK Police Property Disposal site. Low Hill, Liverpool. L6 1HF. Mountain, ladies and childrens cycles in a variety of sizes, jewellery, watches, prams, CDs, DVDs and videos. P. Johnston on Hello world!